Some of us are creative, while others are analytical. It’s the whole left-brain, right-brain thing. At Baby Vegas, we understand this, and that’s why we cater for both types with our specialised children’s goodies. Take your creative child for example. We’ve got a lot of kids craft supplies that they’ll absolutely love, including art smocks and aprons, animal building sets, gold panning kit, Disney-themed diaries, bracelet braiding kits, crayon sets, DIY jewellery kits, cooking kits, and painting kits. And what about your science-loving kid? 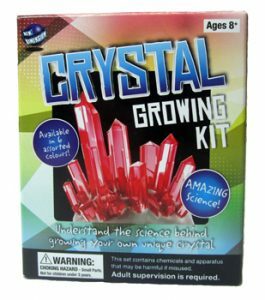 We have science kits for kids of all ages. There’s our ‘build a volcano’ science set, dinosaur set, rescue ranger and medic machine, solar kit, aeroplane making kit, glass making kit, and much more. Science kits for kids makes learning fun, giving them a hands-on educational experience. 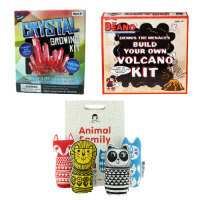 We’re constantly adding new products into our collection, so you’ll find the latest art, craft and science kits with us. 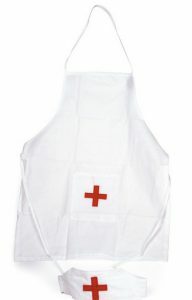 We understand parenthood makes for a busy life, so we’re all about making it easy for you to buy unique gifts. 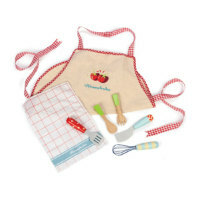 Your little rugrats will love playing with exciting, entertaining and top quality products. They’ll “tell you” by not being able to put their new art, craft or science kit down. Buy your child’s favourite new toy, from the comfort of your home. Whether you’re looking for craft kits or science kits for your kids, our product range is wide, so you’ll find something your child will love. Is your child not the arty or science type? No worries. We’ve got clothing, educational books, outdoor toys, ride on toys and bikes, dress up costumes, musical instruments, soft toys and much more. Baby Vegas, your one-stop online children’s shop.